The process of searching for the right dancing school can be very time consuming. and the performing arts since 1962? Explore our website to discover what Miller Marley has to offer! 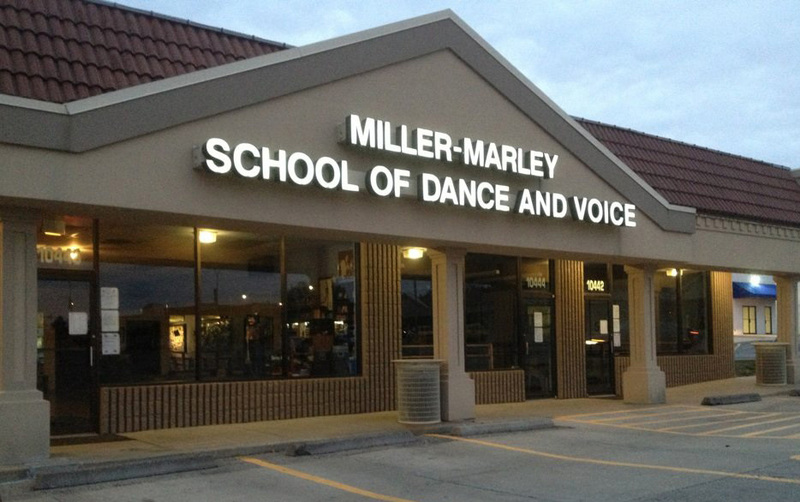 Shirley Marley has owned and operated Miller Marley School of dance and Voice for over 50 years. Click here to read more about Shirley. Miller Marley’s faculty is made up of dedicated professionals, each of whom is a specialist in his/her field. Many of our instructors are among the most sought after choreographers by professional and community theater companies in the city. Our eight Performance Groups, comprised of selected students from 6 years through high school, are well known by Kansas City audiences for their Broadway-style musical revues. These, along with the Miller Marley Youth Ballet Companies and the Competition Teams, pave the way toward developing students as well-rounded and Miller Marley’s reputation for turning out talent is reflected in its illustrious alumni of which over 60 have gone on to successful stage and film careers. It is not unusual to see Miller Marley credited in a Broadway Playbill as the school that most contributed to a performer’s achievement. Look through our Schedule-At-A-Glance. Choose from over 124 class offerings serving ages three to adult. Check out our Schedule for the days and times. You will appreciate the convenience of afternoon, evening, and Saturday morning classes. A popular annual event is our End-of-Summer Intensive. Where else but at Miller Marley could you study with a Broadway star, an alumnus teacher and nationally recognized dancers and choreographers from across the country? And, it is designed to appeal to EVERY STUDENT, from intermediate to pre-professional and 4th grade through college. See a sample of classes by clicking here. The enrollment section contains enrollment forms and informs you of the studio’s policies and procedures. Our tuition is competitively priced. A small quarterly administrative fee of $5 per student per quarter is due with tuition payments. Better yet, drop by the studio during business hours and we’ll be happy to give you a complimentary tour of the school and answer any of your questions.